We are committed to promoting healthy development for all Vermont children, including their physical, social and emotional growth. Since 80% of the brain develops in the first three years of life, helping to promote healthy children, families and communities during this critical period is central to lifelong health. It is essential that every child and family in Vermont is connected to the kinds of help that can make a real difference in a child’s health, development and ability to learn. We do this through programming that directly supports families with young children, as well as training and technical assistance to providers of health care, human services, and early care and education. 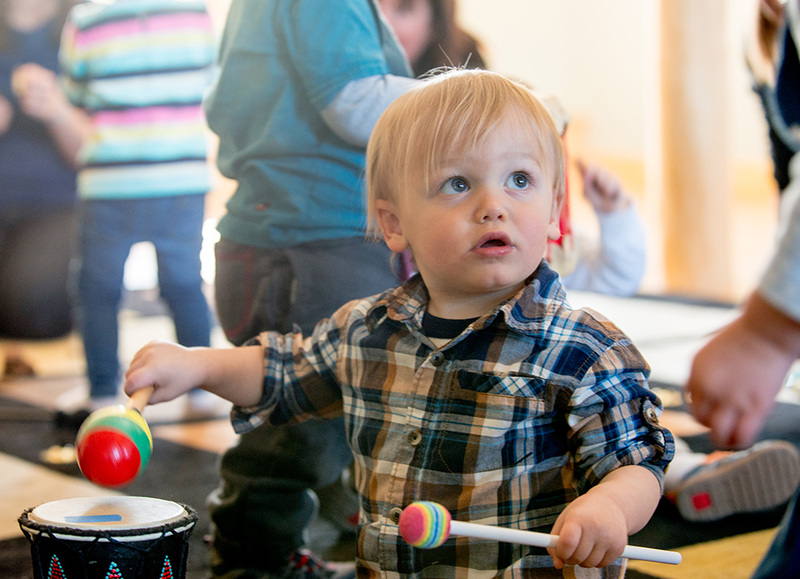 We work in partnership with state and local agencies, community organizations, parents, educators and health care providers to improve Vermont’s system of care for families with young children. Some of our strategic and programmatic priorities for infancy and early childhood include breastfeeding, regular visits to the health care provider, health and safety in childcare, parent education and supports in the home, supplemental nutrition and education, developmental screening, oral health, exposure to tobacco smoke, and injury and infant safe sleep. Help Me Grow Vermont is a system model for improving access to existing resources and services for expectant parents and families with young children through age eight. Help Me Grow promotes the healthy development of children by supporting families, providers and communities to identify vulnerable children and link families to community-based programs and services. All parents care about their baby’s safety. Learn more about resources to help parents and care givers put babies to sleep safely. Find resources to use when educating new parents and caregivers about safe sleep practices. You already know that breastfeeding is best for you and your baby. What you may not know is that learning to breastfeed can take time, patience and practice. Caring for a baby or young child means thinking about the food you feed them, the time you spend reading, singing and playing games with them, and the things you do to keep them safe, healthy, and growing well. Sudden Unexpected Death of an Infant (SUDI) is any infant death that is unexpected and initially unexplained. Frequently, the cause of the death is determined after a thorough investigation and autopsy by a medical examiner and coroner. High quality early experiences promote brain development, socio-emotional skills and support learning for children so that they will succeed in school. We partner with the Department for Children and Families Child Development Division to deliver a comprehensive system of voluntary home visiting in Vermont. Childhood experiences, positive or negative, can have a major impact on long-term growth and development, and health. Negative or adverse childhood experiences can contribute to chronic disease, including mental and emotional conditions, in adulthood. These negative experiences are often referred to as toxic stress or adverse childhood experiences (ACEs).